Like many of our significant holidays Shrove Tuesday (better known by us heathens as Pancake Day) first began as a pagan celebration, whereby townsfolk marked the changing of the seasons by baking pancakes. Symbolising the hot sun, these were offered to Jarilo, the Slavic god of vegetation, to help fight the cold of winter and bring on the warmth and prosperity of spring. Over time it was adopted by many Western religions as a precursor to Lent, that penitential time of introspection during which believers prepare to repent and make amendments to life. For those of the Christian faith Shrove Tuesday is synonymous with pancakes, which are cooked to use up any temptingly rich foods before the onset of Lent. Similarly, the French observe mardis gras—"Fat Tuesday"—as the last night for eating fatty foods before the ritual of fasting begins. Mix together the yeast, milk and water and leave sit for 10-15 minutes, until frothy. Rub together the butter and flour in the bowl of a stand mixer, then stir through the remaining dry ingredients. Add the yeast mixture and egg and knead with a dough hook for around 10 minutes, until smooth and elastic. Transfer the dough to a lightly-oiled bowl, cover, and leave to rest approximately 1 hour, until doubled in size. Turn the dough out onto a lightly-floured surface and press into a rectangle. Working from the long edge, fold the top side into the middle and press down to seal, then repeat with the bottom side. 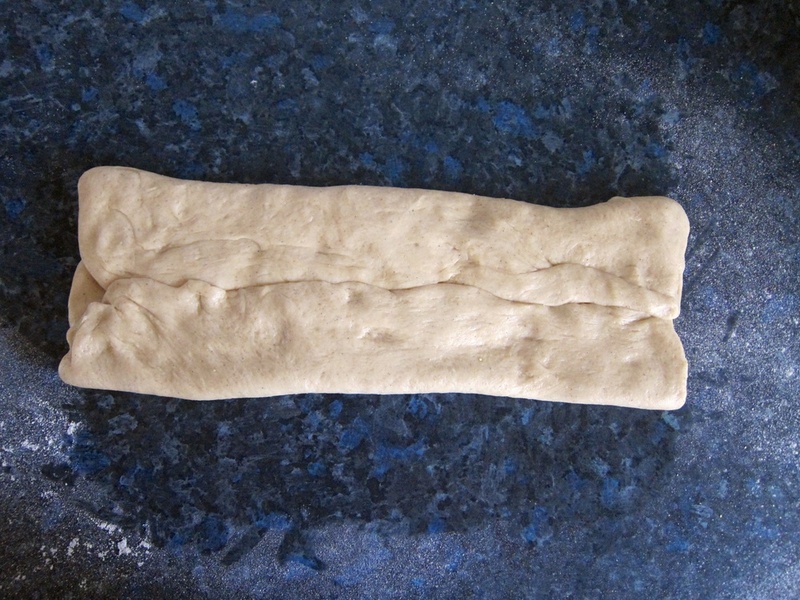 Fold the long edges together to create a seam and cut the length of dough into eight, 60-65 g segments. 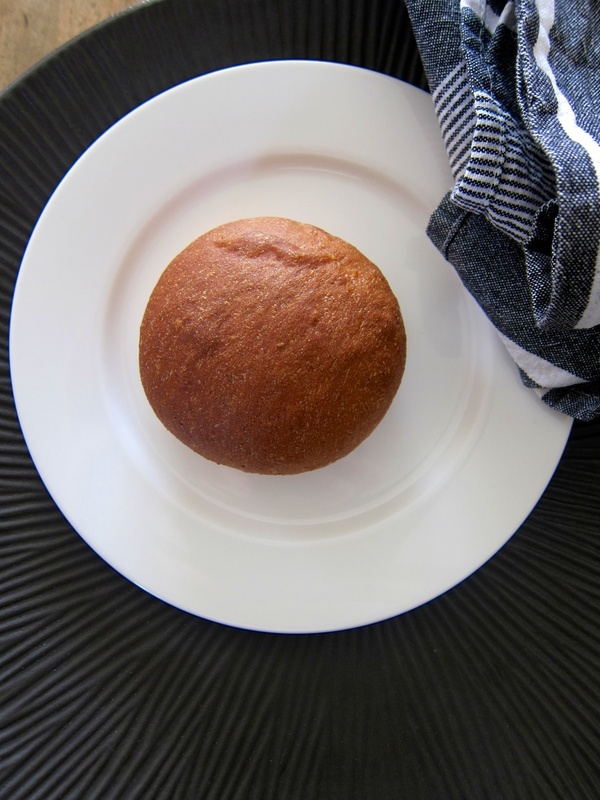 Pre-shape into rounds and let rest for 20 minutes before shaping into buns by rounding on a lightly-floured surface. Place the buns on baking trays lined with paper, cover, and rest for 45 minutes. Heat the oven to 230°C and place a roasting tray filled with water in the bottom. Once the buns are ready, place the trays in the hot oven and bake for 10 minutes before reducing the temperature to 200°C and baking for a further 5 minutes, by which time the buns should by lightly golden, and the base should sound hollow when tapped. Remove to a rack and cool completely. Meanwhile, prepare the almond paste by combining the almonds, honey, sugar and milk in the bowl of a food processor and blending for a few minutes, until smooth. Whisk the cream to soft peaks and refrigerate until ready to use. To finish the buns, slice the top off at an angle, about two-thirds of the up the bun. Spread a teaspoon of almond paste over the base of each one, followed by a good dollop of cream. Replace the top and then dust liberally with icing sugar and a sprinkling of cardamom powder.